Wallonia European Creative District. Innovation and Creativity at its best. 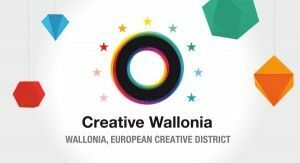 Creative Wallonia is a far-reaching framework programme that seeks to trigger a crosscutting dynamic between a wide range of regional stakeholders (businesses, public sector, general public, educational institutions, etc. ), in order to turn Wallonia into a genuinely creative and knowledge based society. Within two years (2011-2012), the programme had already initiated more than 20 actions targeting citizens, companies, education and all innovation-driven stakeholders of Wallonia (see also description above). One of the most important achievements of Creative Wallonia is its success in setting up a coherent creative ecosystem, and in raising awareness ef ciently so as to trigger sustainable local dynamics. On the basis of the Creative Wallonia programme, the Region has been established ”European Creative District” by the European Commission together with Tuscany (among more than 40 applicant regions in Europe). The Wallonia European Creative District (WECD) is a European demonstrator highlighting the potential of the creative economy and the creative industries for regional development strategies. It is also a pilot action that tests new schemes to support the creative economy and the creative industries. This project positions Wallonia as a creative laboratory at the European level. WECD run from January 2013 to July 2015 and pursues a four-part operational strategy comprising Mutual Transnational Policy Learning, Better Business Support, Better Financial Support and Facilitating Clusters and Networking Activities. On 1st and 2nd October 2015 representatives from 10 European Cities and Regions, visited Wallonia and discovered Europe’s epicenter for innovation and creativity. 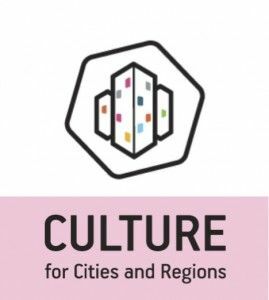 The visit organised by the project Culture for Cities and Regions, a €1 million initiative funded under the Creative Europe programme – DG EAC, implemented by KEA European Affairs, Eurocities Network and ERRIN. The Cities of Cesena (IT), Larissa (GR), Manchester (UK), Nancy (FR), Sunderland (UK), Groningen (NL), Copenhagen (DK), Lapua (FI), and the Regions of Limousin (FR) and Friuli-Venezia Giulia (IT), had the chance to examine existing practices of culture as a key element in local and regional development strategies. The visit provided a framework to exchange and transfer of knowledge, to better understand successful examples of cultural investment, and to go into the details of policy planning and implementation. Bellow you may see a short video of the Study Visit and the Creative Seminar.